Agriturismo Dondoli has its own licensed restaurant a few steps away from our agriturismo apartments. For guests staying in one of our two apartments with "mezza pensione" (half board), we offer lunch and dinner specials - 15 euros for lunch, 20 euros for dinner every day except Tuesday when the restaurant is closed. Of course, our guests who are not mezza pensione are free to dine at our restaurant whenever they choose, at our normal highly economic prices. 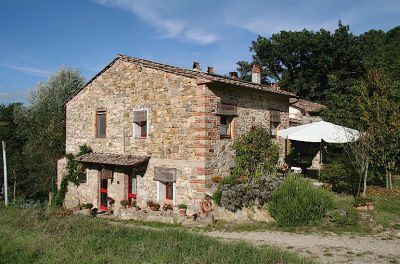 We are a true agriturismo (vacation accommodations on a working farm) producing organic fruit, vegetables and olive oil, located 10 minutes from Greve in Chianti, surrounded by vineyards and forest. Our motto is "tranquillity and hospitality"! Stay 7 nights for the price of 6 nights! Book as soon as you can! 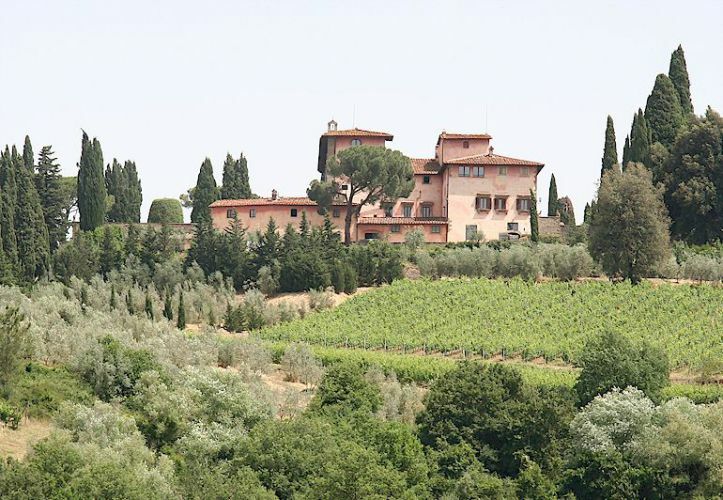 How to get to Agriturismo Biologico "Dondoli"
Pass through Greve in Chianti in the direction Siena. About 1 km beyond Greve, turn to your left towards Lamole. Before the first little bridge, turn to your right and drive along the dirt road. After ca. 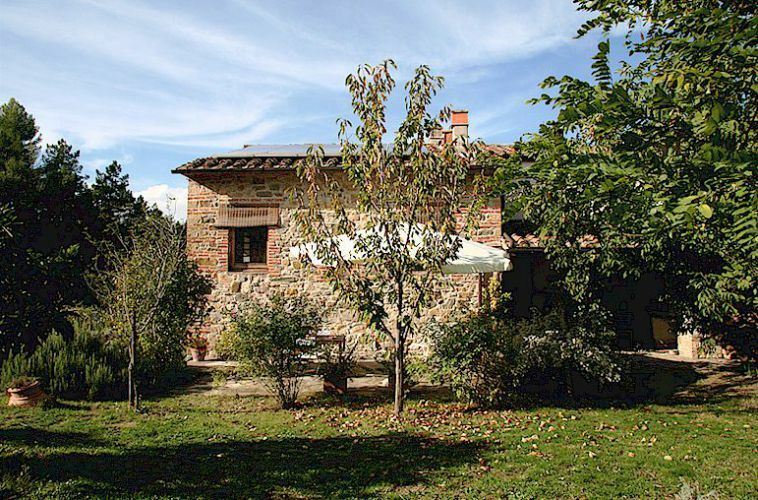 3 km, you will see on your right the sign “Agriturismo Dondoli”. Put the car into the first gear to drive up the uphill road (about 100 mt). Pass through Panzano in the direction Greve in Chianti. At the end of the winding part of road, turn on your right, direction Lamole. Before the first little bridge, turn to your right and drive along the dirt road. After ca. 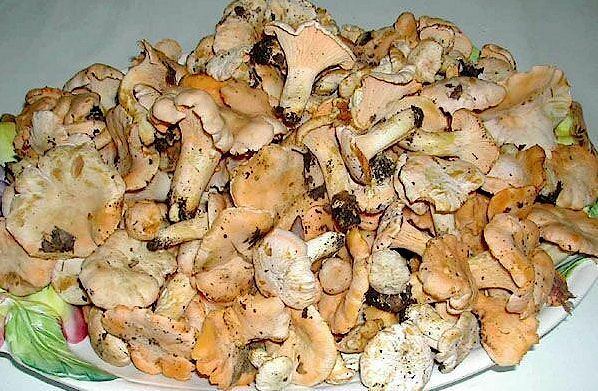 3 km, you will see on your right the sign “Agriturismo Dondoli”. Put the car into the first gear to drive up the uphill road (about 100 mt). Click here to plan your route to Dondoli. For more pictures of our apartments, click here for our photogallery. 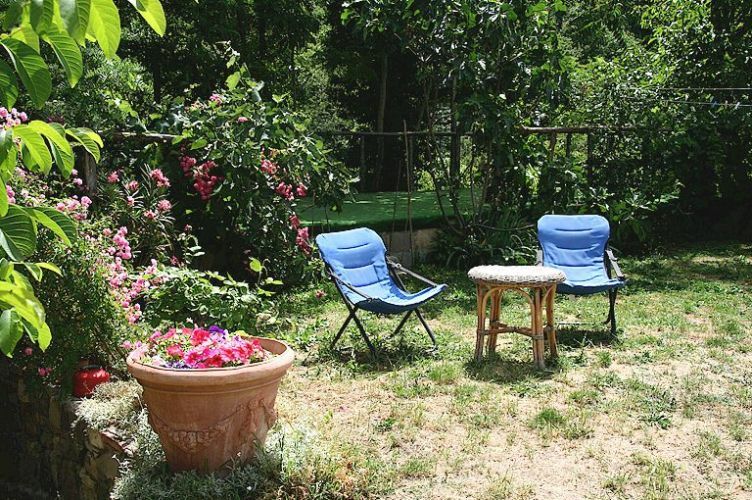 • Apartment Rosa for 3 persons (plus one child under 12 years old), for two persons Euro 85 and Euro 15 for each additional person - kitchen, double room, bathroom and independent outside space for relaxation. An additional bed for a child of 12 or younger may be added without additional charge. Apartment Rosa is composed of a large kitchen-living room provided with an electric stove, refrigerator and all the utensils you need to prepare and enjoy your meals. It has a fireplace and a double sofa-bed. The double room which is on the first floor is large and bright, and the windows look out onto the vineyards. An additional single bed is available for that room. The bathroom is large and modern. • Apartment Azzurro for 3 persons (plus one child under 12 years old), for two persons Euro 75 and Euro 15 for each additional person - kitchen, double room, bathroom and independent outside space for relaxation. An additional bed for a child of 12 or younger is available. 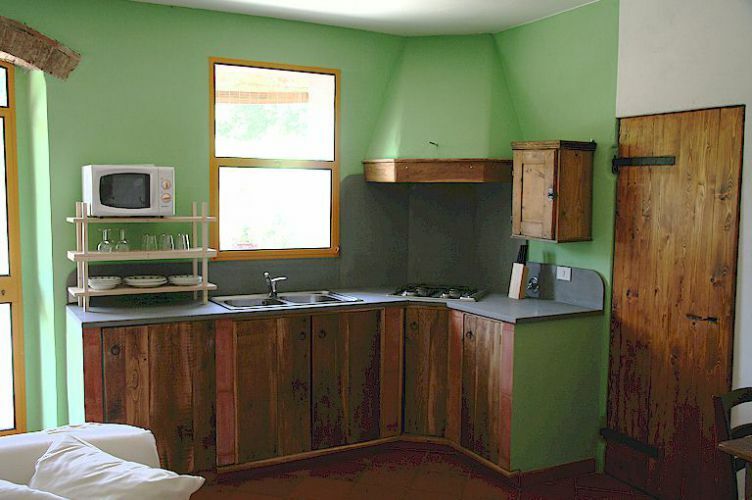 Apartment Azzurro is on a single floor, and is provided with an entry and bathroom suitable for wheelchairs. The large and well-lit kitchen-living room has a microwave oven, refrigerator and complete cooking utensils. There is a double sofa-bed and a large corner fireplace. 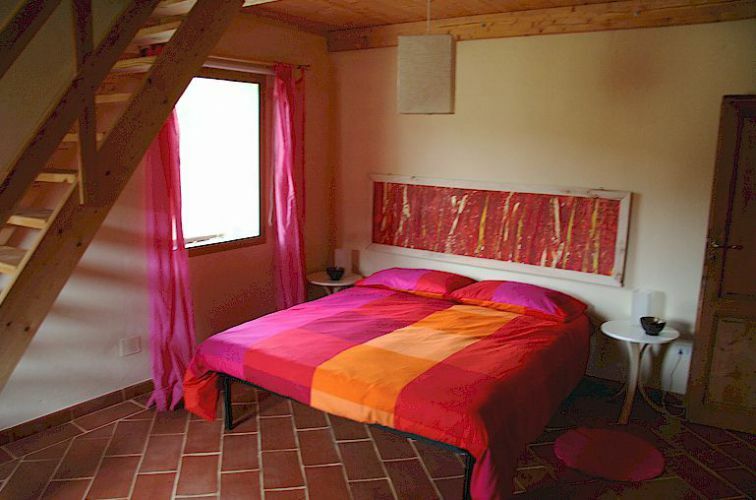 The double room is bright and enjoys a view of Vignamaggio. • Both apartments have their own terrace with umbrella, lunch table and chairs. 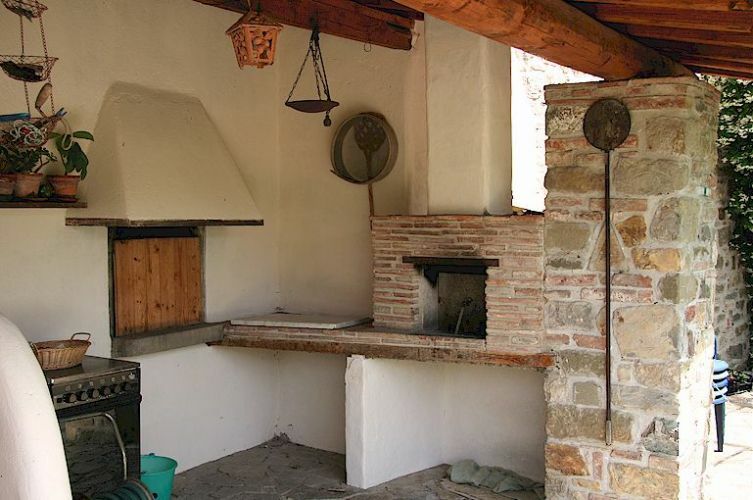 All of our guests may make use of the wood-burning oven, to make pizza, and the grill. The apartments were constructed in part from the old wine cellars and hence are particularly cool during summer and yet warm in winter. They are provided with independent heating and a fireplace for use during the winter months. The price includes water, electricity and change of linen once a week. We request a 30% deposit paid by bank transfer at the time of confirmation of your reservation. This deposit is forfeited for cancellations made less than 60 days prior to arrival. The balance should be paid upon arrival in cash. I'm Francesca and I look after the farm. 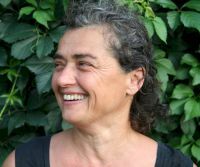 I produce organic vegetables, fruit and olive oil (certified AIAB). You may buy my produce for your meals. To provide company for us and also for you we have Elide our gentle dog and two affectionate cats. We also have a chicken coop with 15 fowls. 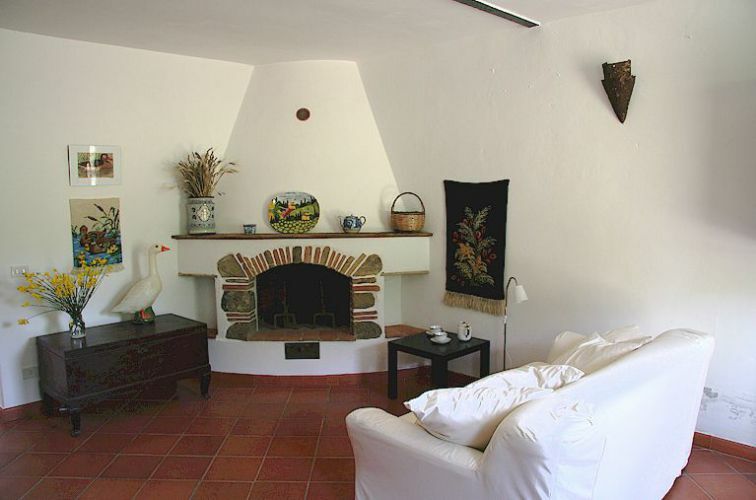 When you stay with us, you will enjoy an ambience and an atmosphere that is truly rural. Upon request, we will prepare breakfast consisting of: seasonal fruit, yogurt, milk, coffee or tea, a home-made cake, home-made jam and bread. 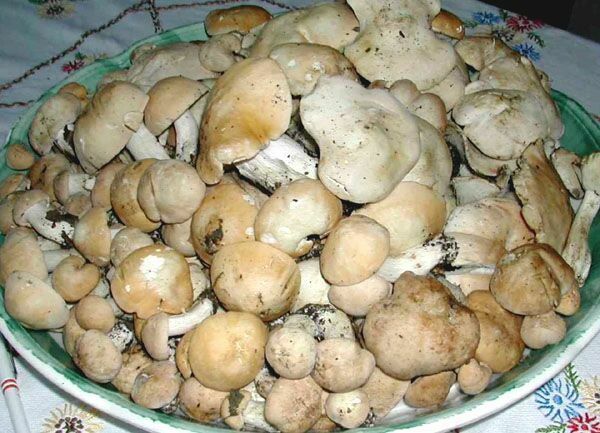 These will be brought to you in the evening so that you can enjoy then how and when you wish. 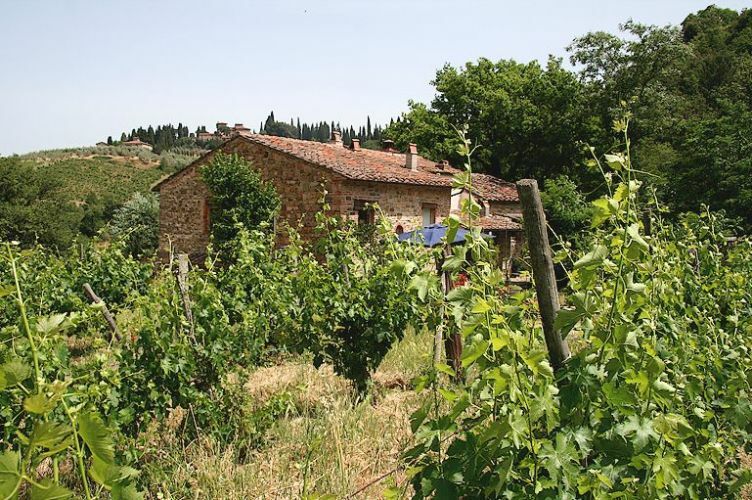 Our farm, situated in the valley between Greve and Panzano in Chianti below the famous Villa Vignamaggio, is surrounded by oak and chestnut forest, vines and orchards. From the farmhouse one may go on short and also more stenuous walks, passing through natural terrain reserved for hunting and the breeding of wild animals. It's easy to catch sight of wild animals and one hears the birds singing all day long. It's possible to follow the Greve stream as far as Lamole, passing along Roman roads or little paths that wind their way through the forest. It's easy to reach the town of Greve on foot or by bicycle, and equally easy to visit Panzano by following a path through the vineyards. One may fish for trout and bathe in the Greve stream below the house. In the district there are many steams and small lakes and reservoirs for swimming and sunbathing. 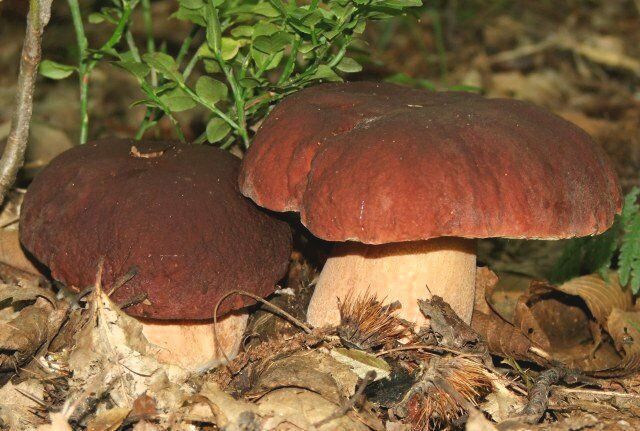 Autumn is mushroom season and there are plenty of porcini, prugnoli, galletti etc to be had.